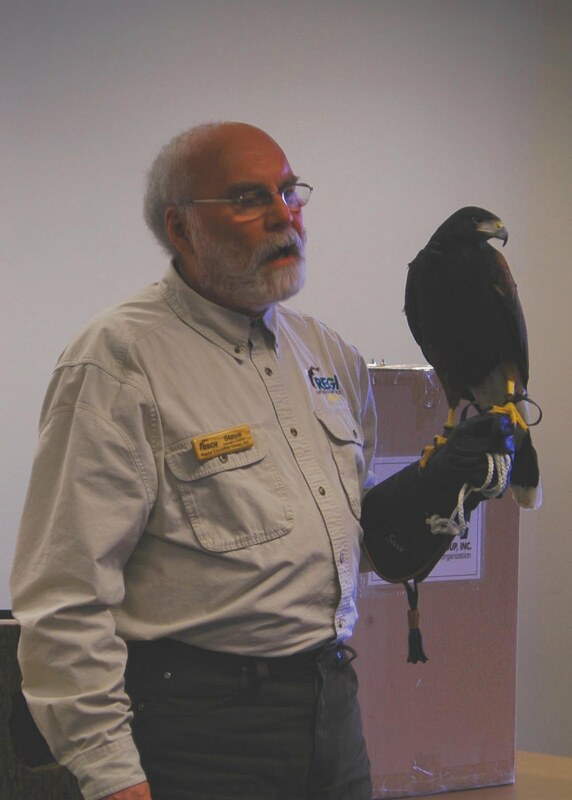 On Saturday, April 23, REGI Education Director Steve Fisher and his wife Evie, a longtime REGI volunteer, presented a raptor program to over 160 people at the Muskego Public Library in southern Wisconsin, as part of the library's activities for Earth Day. The audience got to see a Harris's Hawk, Peregrine Falcon, American Kestrel, Great-horned Owl, and Eastern Screech Owl during the presentation and asked many good questions during and after the program. In the photo below, Steve shows the group REGI's beautiful Harris's Hawk, a raptor found in the Southwest deserts and one that, unlike most other raptors, hunts cooperatively and shares its prey, similar to a wolf pack. 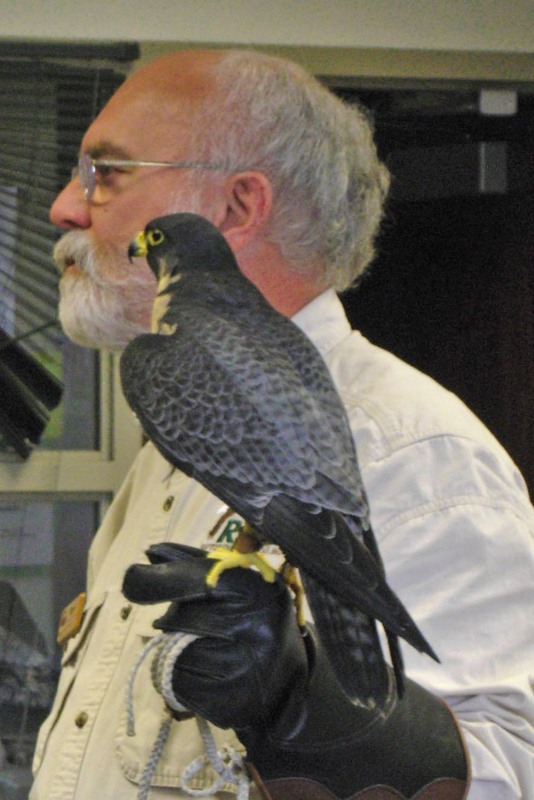 In the photo below Steve shares information about REGI's Peregrine Falcon, a raptor that typically hunts other birds like ducks and pigeons and can dive at over 200 miles per hour. As part of the Earth Day connection, the presentation included information about the effects of the pesticide DDT, which caused the eggshells of falcons, eagles, and ospreys to soften and which was banned from use in the United States in 1972. 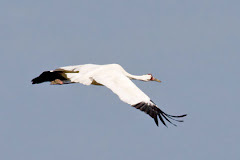 Everyone on the REGI education staff always looks forward to interacting with the public and working with our avian education partners to share information about the birds and the important issues related to them. We would like to thank the wonderful Muskego library staff for inviting us and treating us so well, and all who attended the program for making our visit there very enjoyable. It was a great way to help celebrate Earth Day!